Lack of Wintab may be an issue with older desktop applications, but it’s not the end of the world. 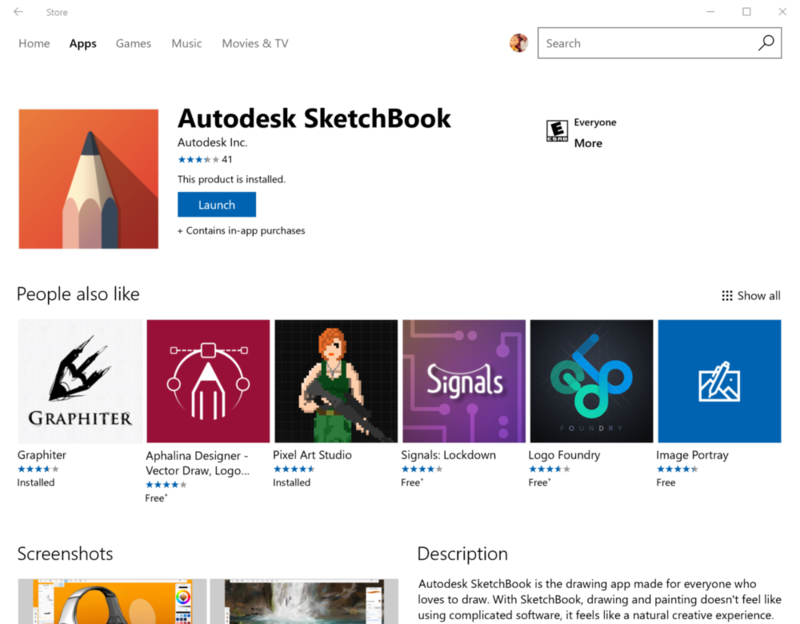 Take the time to visit the Windows Store and explore the many low-cost creative tools available there. We recommend you take a look at Graphiter, Sketchable, Sketchbook for Windows 10 and the Paint 3D Preview (currently available only to Windows 10 Insiders).